We invite you to enjoy 30 of the South Shore's unique and can't miss attractions. This list is a great place to start when you're looking for things to do in Northwest Indiana. 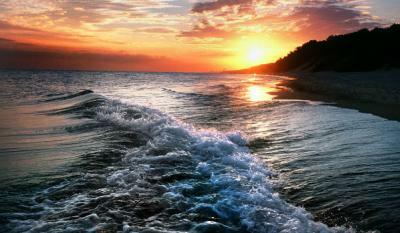 The Indiana Dunes State and National Parks welcome nearly 4 million guests each year. The National Park is comprised of more than 15,000 acres of dunes, oak savannas, swamps, bogs, marshes, prairies, rivers and forests, offering a wide variety of activities year-round. Three miles of beaches run along Lake Michigan’s southern shore at the State Park. 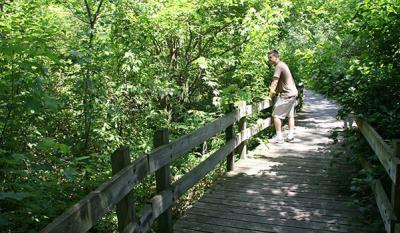 The park also offers 16.5 miles of trails and several that traverse Mount Tom. Found right off of I-65, Fair Oaks Farms is an amazing, interactive experience taking you through modern day farming techniques. Walk into the Birthing Barn for a chance to see one of the 80-100 calves born a day. Go on the Dairy Adventure to view the milking process up close or the Pig Adventure to discover how pigs are born and raised. 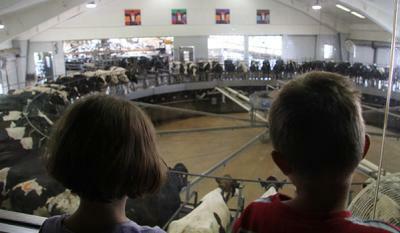 You can also taste their blue-ribbon cheeses in their café or enjoy a farm-to-fork meal at the Farmhouse Restaurant. Located on 160 acres in Hobart, Broken Wagon Bison&apos;s herd now numbers more than 70 since its creation in 2003. 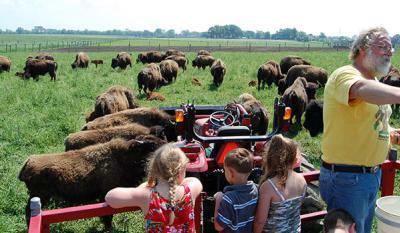 Summer tours give you the opportunity to be "surrounded" by bison (from the safety of a wagon) and watch the new-born calves nurse and run around. Visit their store for locally grown bison meat, bison leather goods, and bison hides, as well as one-of-a-kind jewelry. 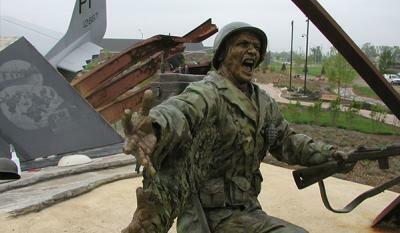 The Community Veterans Memorial pays tribute to soldiers from every U.S. conflict of the 20th Century with bronze and granite sculptures and life-size monuments. Artifacts, such as a helicopter and war weapons, are on display at this 6.5-acre park in Munster. From the trenches of World War I through the Pacific beaches and European battles of World War II, the extreme weather and combat conditions of Korea, the rugged brutal fire fights of Vietnam, and the sandy sea of Desert Storm, the memorial pays the highest tribute to all veterans. 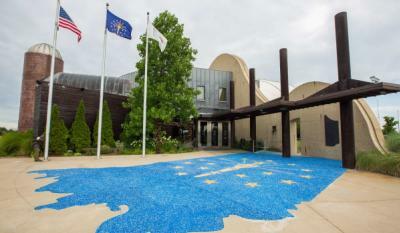 The exterior of the Indiana Welcome Center encompasses some of the main icons of Northwest Indiana including stainless steel waves, stone sand dunes and a brick silo. Out front, you’ll also find a bronze statue of “Flick” from “A Christmas Story”, with his tongue stuck to the flag pole. Jean Shepherd narrated and co-wrote "A Christmas Story" which was based on his childhood growing up in Hammond. In honor of Jean, the Indiana Welcome Center hosts the "A Christmas Story" Comes Home exhibit every November and December. The exhibit centers around 6 animatronic window displays from Macy&apos;s Herald Square in New York City. The gardens opened to the public in 1936, originally named International Friendship Gardens, including fourteen ethnic gardens, a Symphony Theater and unique Theater of Nations. The gardens have received many royal gifts including 200,000 tulips from Queen Wilhelmina of the Netherlands, plants and a Royal Gardener from the King of England and roses for the first Rose Garden from the King of Persia. The garden has seen some hard times over the years, but has recently come back to life as a tourist destination under the leadership of an enthusiastic Board of Directors. 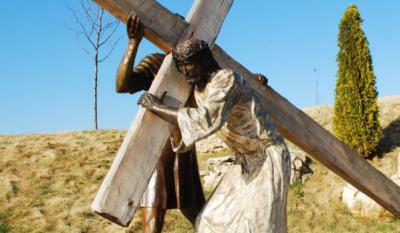 The Shrine of Christ&apos;s Passion in St. John is like no other. Visitors come from all around the globe to follow the interactive half-mile winding path featuring 40 life-size bronze statues depicting the Stations of the Cross. Recordings are available to play at each station. The Shrine also includes a display of Moses at Mount Sinai holding the Ten Commandments and a 10,000 sq. ft gift shop. 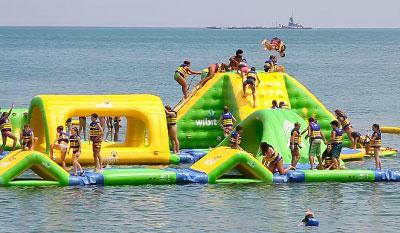 Right off the shore at Whihala Beach in Whiting, WhoaZone is a one-acre floating water park where you can jump, soar, bounce and climb for one hour! The floating structure includes monkey bars, slides, towers, bridges and jumping platforms for children (7 & up) and adults, creating fun all summer long. 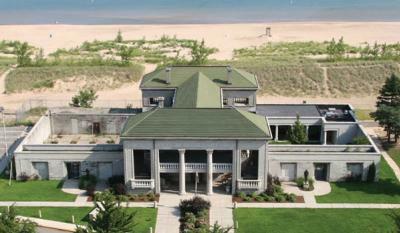 Also on-site you can rent paddleboards and kayaks to explore Lake Michigan’s waters. Buckley Homestead, a living history farm in Lowell, depicts farming life during the 19th and early 20th centuries with historic building including the Buckley home, schoolhouse and log cabin. The Buckleys first settled in Northwest Indiana in 1849. Check the calendar for special events and activities throughout the year. There is an admission fee charged on the weekends September-October when the main house museum and other historic buildings are open from noon until 4 p.m.
At Albanese Candy Factory in Hobart you can sample their goodies, peek through the windows at the factory and watch videos explaining how they create the “World’s Best Gummies” and their Gold Label Chocolates. This candy factory is also home to the world&apos;s tallest chocolate waterfall! Gabis Arboretum in Valparaiso is a collection of restored woodland, prairies and wetlands including four miles of walking trails. 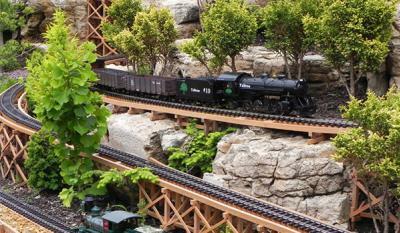 They host outdoor concerts and also have an award-winning Railway Garden that pays tribute to the steam era of the American railroad history. 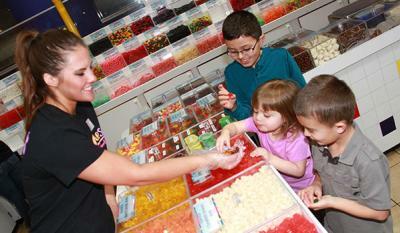 Little ones will have a blast at Bellaboo&apos;s Play and Discovery Center in Lake Station. Children can enjoy cooking classes, soft play room, face painting and rooms that inspire the imagination including pretend stores, kitchens, trains and more. 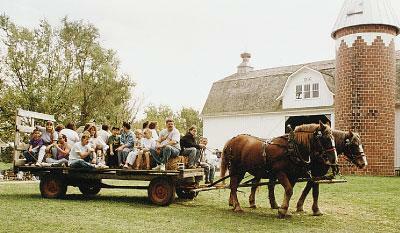 Northwest Indiana has a unique blend of history and cultural celebrations. 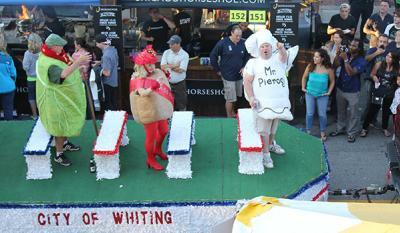 Pierogi Fest® in Whiting is an Eastern European celebration centered around the stuffed dumpling (pierogi). This summer festival has been featured on the Travel Channel and the Food Network for its quirky entertainment and, of course, the pierogi. Don’t miss the popular parade on Friday! 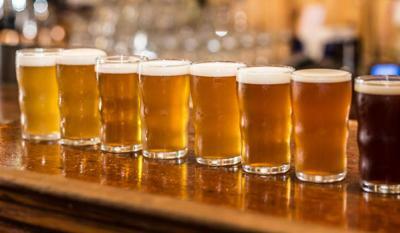 The South Shore is home to more than 20 breweries – each offering a different atmosphere to enjoy their award-winning and world-renowned brews. Many of the breweries also offer unique food to enjoy with your drinks. Download the free app for iPhone or Android to plan your journey. Dr. Scholl, the famous foot doctor, started his practice in Cedar Lake. See many of his original tools May-September at the Cedar Lake Historical Association Museum. The museum also houses local history exhibits including items featuring the ice industry which flourished in the late 1800’s and early 1900’s. 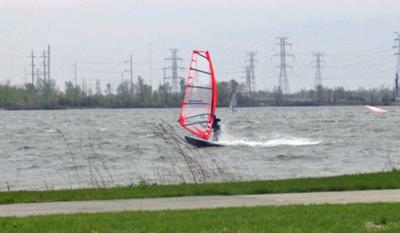 Windsurfing in Indiana? 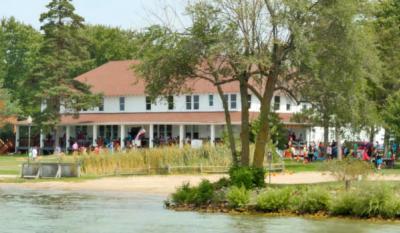 Wolf Lake in Hammond was recognized by the New York Times as being one of the best lakes in the country for windsurfing. If you’re not adventurous enough to try windsurfing, you can also enjoy boating, kayaking, the Aquatic Play Center, pedestrian trail and popular events like Festival of the Lakes at Wolf Lake. It&apos;s been almost 200 years since they roamed free in Indiana. 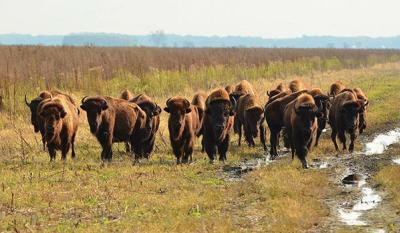 Now bison roam the prairies of Kankakee Sands. It took two decades and lots of hard work to restore the prairie there. The Nature Conservancy reintroduced bison to the prairie restoration at Kankakee Sands so that the prairie can once again benefit from these grazers as it did in the past. The Challenger Learning Center in Hammond was the 33rd center to go online as part of a network of facilities devoted to carrying on the education mission of the Challenger 51L Crew and First Teacher in Space, Christa Mc Auliffe. 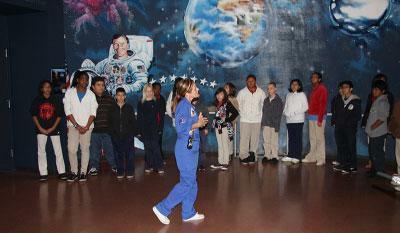 They offer space science education with missions for groups, laser light shows and family events. Two local companies offer cruises, on two different lakes! Harbor Country Adventures explores Lake Michigan with classic Lake Tours, Sea Rocket Adventures, Saturday Night Party Cruises and more. 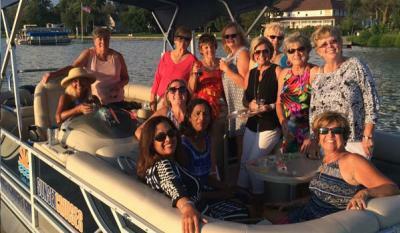 Farther south enjoy Cedar Lake Sunset Cruises, offering cruises across Cedar Lake as well as pub crawls to locations just off shore, kids cruises with tubing and swimming or romantic rides after dinner at Lighthouse Restaurant. 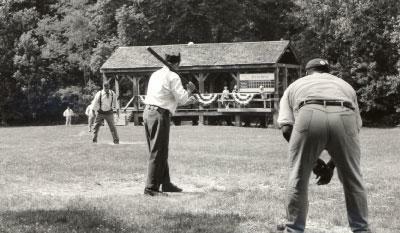 Travel back to the mid-1800&apos;s with the Deep River Grinders vintage baseball team. The Grinders play according to 1858 rules and wear vintage attire. Games are played at Deep River County Park in Hobart, which is unique on its own. The park is home to Wood’s Grist Mill from the 1800’s. Today corn meal is ground using the large mill stones from May-October. The park also hosts Maple Syrup Time weekends in early March. 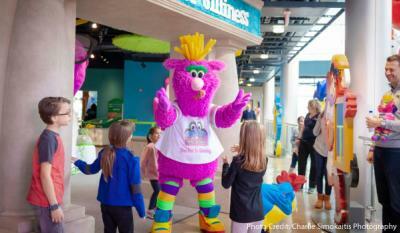 The Mascot Hall of Fame is a hall of fame for United States sports mascots. The mission is to honor mascot performers, performances, and programs that have positively affected their communities. 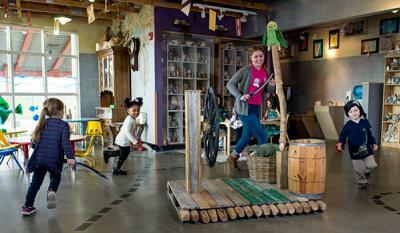 The location itself is an interactive adventure, fun for all ages. Not only is everything calling out to be touched, played with, read, or messed with, but it is educational and easy enough for younger audiences to figure out. Visit one of the last and highest quality remnants of dune and swale topography in the Midwest at Gibson Woods Nature Preserve in Hammond. The park was formed by a glacier that moved through the region thousands of years ago. Don&apos;t miss the bird room located onsite, which overlooks a bird sanctuary. County Line Orchard in Hobart is one of the most popular orchards in the Chicagoland area with apple picking, corn mazes, petting zoo, pumpkins, apple cider, donuts and more. 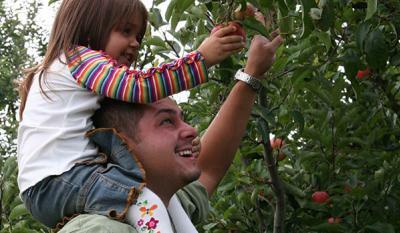 Families from around the Midwest plan their annual apple-picking trips to County Line. 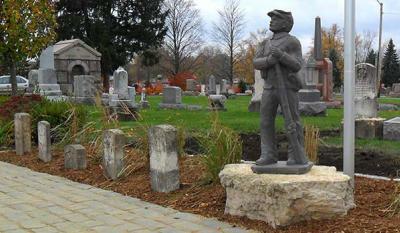 The South Shore Civil War Memorial Trail is a collection of the last known resting places, monuments and architectural icons related to the brave men and women of Lake and Porter counties who sacrificed during this most pivotal era in history. The historic Barker Mansion lives on as a monument of industry, charity, and turn-of-the-century life in Michigan City, highlighting the legacy of the Barker family through interpretive tours and special programs for kids and adults. John Barker, Sr. arrived in Michigan City in 1836, forming a general merchandising firm with his cousin. 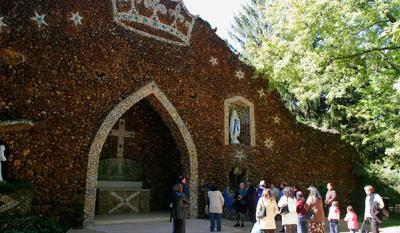 Natural crystals and colorful rocks have been collected from all parts of the world and are displayed at the Carmelite Fathers Shrines in Munster. 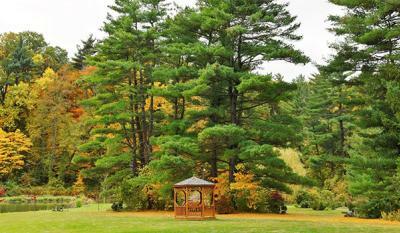 Enjoy the beauty and charm of the surrounding monastery garden with its unusual trees and shrubbery. The shrines are open every Sunday (Easter-November 1st). 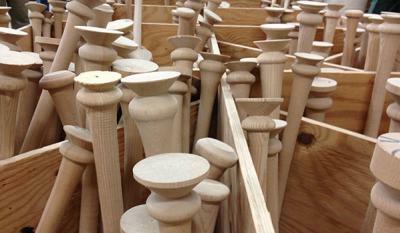 A manufacturer of major league, minor league, college and high school bats, Hoosier Bat in Valparaiso offers tours of the facility for groups that reserve ahead and also has a gift shop. Hoosier Bat has been in business since 1989, and are now the third oldest company making and selling wooden baseball bats in the United States. The first road to modern day Marquette Park in Miller Beach was constructed in 1865, when settlers first began populating the lakefront area and it became a popular beachfront destination. At the turn of the century, the "Grandfather of Aviation," Octave Chanute, built and tested the first successful heavier-than-air glider off the dunes. 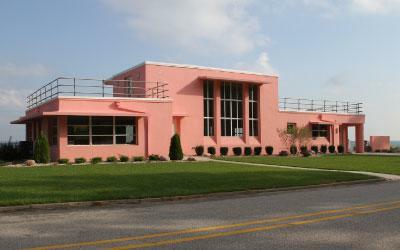 Visitors can admire the Gary Bathing Beach Pavilion right off the beach, which was constructed in the 1920s. It later fell into disrepair, but in the 1990s, the Chanute Aquatorium Society was formed and rehabilitated the building. During the 1933 Chicago World’s Fair, in keeping with the fair&apos;s "A Century of Progress" theme, homes were on display featuring innovative building materials, modern home appliances and new construction techniques. Later moved to northwest Indiana to promote a new housing community, these houses were included in the Indiana Dunes National Park in the early 1970&apos;s. Today the homes are undergoing rehabilitation with private funds through a partnership with Indiana Landmarks. For most of the year, you have to view them from the outside, but one Saturday a year in October, the owners open their homes to the public for tours. 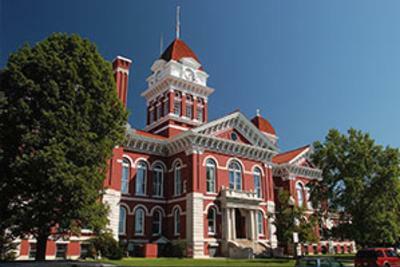 Visit the Historic Lake County Courthouse, also known as the Grand Old Lady in Crown Point. The courthouse was built in 1878 and was said to be "one of the finest architectural expressions in Indiana." Visitors today can wander the stone walkway on the bottom floor, housing a number of unique shops. 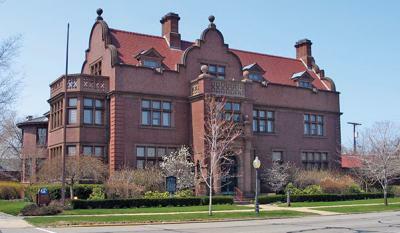 Upstairs is home to the Lake County Historical Museum and Maki Ballroom.